Mr. Vernon (DOB 12/31/80) is charged with the robbery and murder of Javon Dawson. The facts of the case are as follows: On November 3, 2013, the defendant entered 665 Lindell Avenue, Apartment 4, Jefferson County, Kentucky, the residence of Ms. Jovon Dawson and her three children, and murdered Ms. Dawson with a 12-inch long kitchen knife. Ms. Dawson’s children were asleep in the apartment when this happened. The defendant was thereby able to steal items from the victim including her purse, which was recovered in his apartment. When officers arrived at his apartment during a neighborhood canvas, he hid in his hall closet a bag containing the purse and its contents, the knife, and some bloody clothing. A capital trial was set to begin on January 11, 2019, but two days before the trial, the defendant entered an open plea to the charges. The parties will return for sentencing arguments on April 12, 2019 at 1:00 p.m. in Division 3 of Jefferson Circuit Court. At that time, it will be up to the Court to determine a penalty anywhere between 20 years and death. Elizabeth Jones Brown and Critt Cunningham are the prosecutors. Mr. Bishop (DOB 12/01/74) is charged with theft from Carpenter’s Local 2501, which occurred from 2014 to 2017, while Mr. Bishop was the union chapter’s financial secretary. He was arraigned on January 7, 2019 and a first pretrial conference is scheduled for February 11, 2019 at 8:45 a.m. in Division 3 of Jefferson Circuit Court. Kaleb Noblett is the prosecutor. Ms. Needy (DOB 06/04/1990) is charged in connection with the February 17, 2017, murder of Nicholas Morris at 1201 Payne Street outside Ciao Ristorante. She was arraigned on the above charge on December 17, 2019. Her bond is currently set at $75,000. 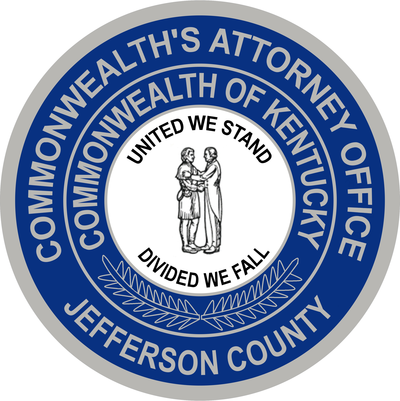 A first pretrial conference is scheduled for January 31, 2019 at 8:30 a.m. in Division 8 of Jefferson Circuit Court. Kaleb Noblett is the prosecutor. Ms. Gonsman (DOB 06/12/1997) is charged with assaulting the victim R.S. on multiple occasions between October 17, 2018 and November 17, 2018. The victim is an adult with autism who, due to his mental condition, was unable to protect himself from the defendant’s abuse. During the course of approximately one month, the defendant struck the victim with cords, shot him at close range with an airsoft rifle and handgun, burned him, cut him, strangled him, and unlawfully restrained him. The victim sustained multiple injuries as a result of the defendant’s actions. A pretrial conference is scheduled for January 15, 2019 at 9:15 a.m. Emily Lantz is the prosecutor. Ms. Fitsgerald (DOB 08/26/84) is charged with the October 10, 2018 assault of her child. The defendant strangled her ten year old son, T.T., in front of the minor victim’s 12 year old sister. The minor victim was transported by EMS to Kosair Children’s Hospital where he was treated for his injuries. A pretrial conference is scheduled for January 16, 2019 at 9:15 a.m. in Division 13 of Jefferson Circuit Court. Danielle Yannelli is the prosecutor.